Nasi kita Nasi Malaysia. Our rice is our Malaysian rice. How can we Malaysians possibly ditch ride aside. Never. Not me though. 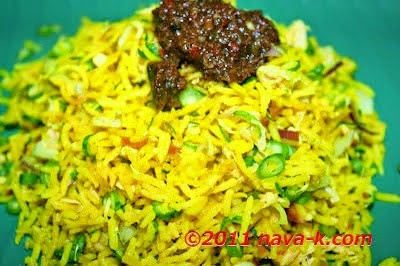 I love rice to its every bit core (Ghee Rice/Nei Choru). Various ways and various styles, you name it, there's various ways to rice. Between the humble our forever and easily put together Malaysian fried rice (Lamb Fried Rice) and the list goes on (Jeera/Cumin Rice & Tomato Rice). Which is the type of rice dish we are going to learn to cook today? Obviously, its Nasi Dagang. The direct translation of Nasi Dagang to Trading Rice I reckon may sound out, but lemme assure you that Nasi Dagang's roots originating most probably from Kelantan and Terengganu is a winner on all counts. A wholesome complete rice dish, there's of course different version to Nasi Dagang and I as usual coined my own Nasi Dagang. Rice cooked alongside coconut milk and turmeric, tossed with fried flaked salmon and raw kacang panjang/long beans, lemongrass/serai, ginger torch bud/bunga kantan, shallots and limau purut/kaffir lime leaves. Can you imagine its tastes and aroma? Utterly. ** thinly slice/shred these ingredients. Add all ingredients for rice into the rice cooker, give a good stir and cook. Once cooked, fluff up and let it cool down a bit. Fry fish for a crispy outer coating and tender texture inside. Remove, cool down and flake it. 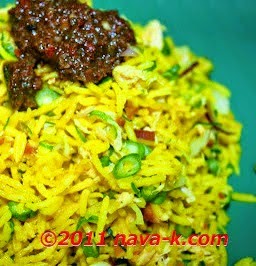 Into a big bowl, toss rice with fried fish and the rest of the ingredients. . Optional: serve with a dollop of sambal belacan. Nasi Dagang is a must when i go back to hometown Kuantan. I am intrigued by all the things in this recipe that I'm unfamiliar with. That looks amazing! I'd have to leave the salmon out du to allergies - but YUM! Thanks everyone for the lovely comments, appreciate it very much. i wish i can find nasi dagang in london!! Then I checked again, it was dagang, never tried those yet. Love it and with Salmon my favorite fish delicious recipe.